The New Zealand Powerball is an awesome supplementary game that players of the New Zealand Lotto can add on to exponentially increase their winnings. With jackpots that start at NZ $4 million (€2.4 million) and can rollover many times until they reach astonishing heights, New Zealand Powerball is a game that has a lot to offer even to non-Kiwi lotto players. The Kiwi version of the Powerball, which is operated by the New Zealand Lotteries Commission, first came onto the scene in February 2001. At first the Powerball number range was smaller than it is today, at just 8 numbers, but in October 2007 this range was increased to 10. Meanwhile, the minimum and maximum prizes in the game’s early days were also smaller: NZ $1 million (€606,000) and NZ $15 million (€9.1 million), respectively. Over the years the minimum jackpot gradually increased to the NZ $4 million (€2.4 million) it is today, while the cap also increased several times, first to NZ $30 million, then NZ $40 million, and finally today’s NZ $50 million (€30.3 million) amount. Between August 2004 and July 2015, players could win additional prizes if the serial code on their ticket matched the one that was randomly drawn each draw. In addition to winning an all-expenses-paid trip to the Lotto New Zealand studio in Auckland, winners would go on the live TV show to spin the “Winning Wheel.” This was a giant wheel with prizes that varied from cash to cars to houses to trips. As exciting and popular as this side game was, it was eventually cancelled. 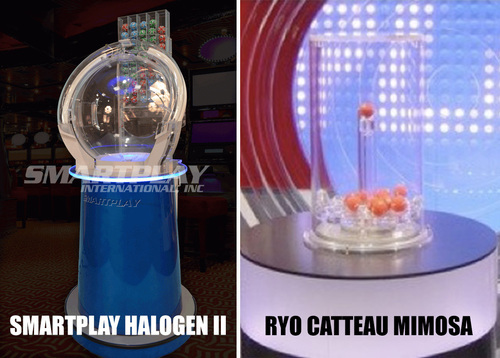 For every draw that was held between February 2001 and late May 2018, Ryo Catteau Mimosa machines were used. However, after there were several on-air technical issues with the machines that required re-draws, the operators decided to switch to the much more reliable Smartplay Halogen II machines, which have become standard in many lotteries around the world. The New Zealand version of Powerball is different from every other Powerball game in the world because it’s not a standalone lottery; rather, it’s an add-on option to the New Zealand Lotto. This means that once you’ve chosen your 6 numbers (from a range of 1 to 40) for that game, you can choose an additional number, the Powerball number, from a range of 1 to 10. If you match all 6 numbers from the main lottery and the optional Powerball number, then you win the NZ Powerball prize, which is usually much bigger than the NZ Lotto’s fixed NZ $1 million. To have a shot at a draw, you must play a minimum of four lines. You can choose your own numbers for each of these lines or opt for a “Power Dip”, which will allow you to buy 8, 10, 12, or 16 lines comprising randomly chosen numbers for both the NZ Lotto and NZ Powerball. 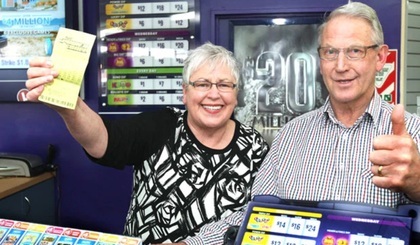 Once the jackpot reaches the NZ $50 million cap, the next draw is a “Must Be Won” draw. If no one wins this one, then the money rolls down to the secondary prize tier/division. 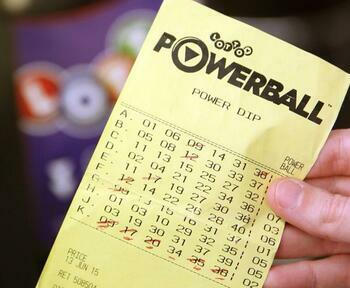 Given the size of some of New Zealand Powerball’s jackpots, the odds of winning it aren’t too shabby at 1 in 38,383,800. Compared to the US Powerball (1 in 292,201,338) and the Australia Powerball (1 in 134,490,400), one might even say they’re fantastic. Swiss Lotto, however, has similar prizes and slightly better odds (1 in 31,474,716), while both Canada Lotto 6/49 (1 in 13,983,816) and Canada Lotto Max (1 in 28,633,528) offer bigger prizes and much better odds. NZ Powerball is a biweekly lottery game whose draws take place in Auckland every Wednesday night at around 8:20 pm NZDT and every Saturday night at 8:00 pm NZDT. Winners can pick up their prizes as late as a full year from when the draw was held. Any unclaimed prizes are returned to the prize pool. Depending on how much you win, the moment you collect your NZ Powerball winnings might make you feel invincible because the only way that this lottery pays out is as a single cash lump sum. If you’re one of the cautious people who would prefer to receive your windfall in annuity payments spread out over many years, you won’t have that option with this particular lotto. The government of New Zealand does not consider lottery wins as income, so if you are fortunate enough to win the New Zealand Powerball jackpot, you won’t be taxed at the source. There is still a chance that your own government could tax you when you transfer the money back home, but this depends on what your country’s lottery tax laws are. Many of the best online lottery sites allow people to play international lotteries via the Internet regardless of their geographic location. This opens up an incredibly large selection of games, including New Zealand Powerball, even if you want to play from the US, Canada, Europe, Australia, and pretty much everywhere else. Many online lottery websites also offer great welcome bonuses and various other promos that official lotteries never do, so the tremendous value and convenience they bring to players makes the small fee they add on to each ticket sale negligible. New Zealand Powerball – Is It Worth Playing? NZ Powerball is a must for those who are already playing the New Zealand Lotto and definitely a game worth considering for those who aren’t. Even among the world’s best lotteries, few have prizes this big and odds this decent. Plus, all prizes are tax-free, meaning you’ll collect exactly what was advertised. How can you go wrong with that? Right on, good prizes and good odds. NZ Powerball delivers. Double your chances: Get a 100% bonus on your first purchase plus 10 free spins on casino slots! Buy one lotto ticket from LottoKings and get the second one 100% free! Sign up with WinTrillions and save 90% off the US Powerball! Register with theLotter and save 10% off your first purchase! Get Up to 20 Free Lottery Entries with this PlayHugeLottos Welcome Offer! Buy 1 EuroMillions line at Jackpot.com and get 10 free Piggy Bank scratchcards!